BINGHAMTON, NY – A new website created by faculty and students at Binghamton University, State University of New York ranks university philosophy departments and academic journals by gender in order to draw attention to the underrepresentation of women in philosophy. 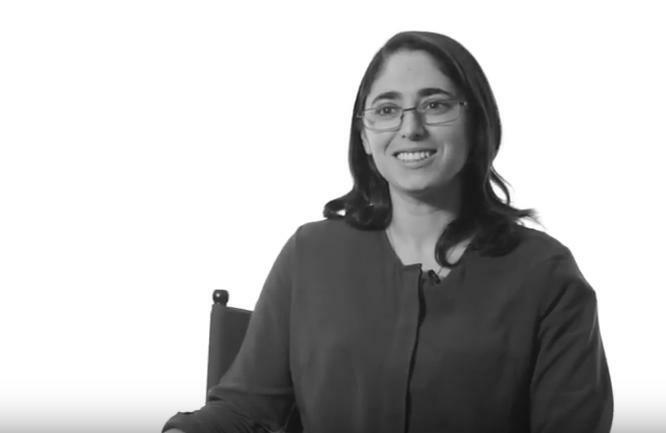 Data on Women in Philosophy is a project created by Nicole Hassoun, associate professor of philosophy at Binghamton University, and a group of professors and students. The site orders departments by number of women faculty and journals by number of women authors. The project attempts to collate some of the existing data and provide new data that can have an impact on the field. So far it has looked at the proportion of women on the faculties of 99 departments and the number of women publishing in 20 top journals over several decades. Visitors to the site can select from various sources of data from a pull-down menu and see the resultant ordering. "It is well established that women are under-represented in philosophy at all levels," said Hassoun. "There is also some data on the under-representation of women in philosophy journals. But better data is essential for setting targets and evaluating performance in attempting to improve the situation for women in the field. If we know what programs and journals are doing well and which are doing poorly, and how things are changing over time, perhaps we can figure out how to make progress." 1) Very few schools have reached 50 percent women. 2) As of 2015, women account for 25 percent of tenured/tenure track philosophy faculty (comparable to several STEM disciplines) and things are improving more slowly in philosophy than in several of these disciplines. 3) Things tend to get worse for women as one ascends the hierarchy. a. Women are better represented as assistant than associate and as associate than full professors. b. In general, Philosophical Gourmet Report ranked institutions do less well, and are improving slower, than ranked institutions. 4) The average proportion of women in top journals was only 16 percent, and evidence from a sample of these journals suggests things have not changed much since at least the 1970's. a. Journals practicing blind review tend to do worse than those which do not. b. Relative to the proportion in the ethics, it is hardest for women to publish in ethics journals and then in general journals (which is a problem because the greatest proportion of women in the field are in this sub-discipline). "More data is still necessary to answer some of our questions and for setting targets, and evaluating performance, in attempting to improve the situation for women in the field," said Hassoun. "We must wait at least a few more years to know, for instance, whether there is a glass ceiling that explains why women are not as well-represented as associate and full professors as assistants. We also need to do more analysis to identify what has gone wrong in the academic pipeline." Hassoun hopes the site itself will create incentives for positive change. "We've now written all presidents, provosts, deans and department heads at the schools in our sample and gotten some positive responses from administrators, who are going to use this to push the departments to implement better practices for promoting diversity, and department heads, who will use it in approaching administrators," she said. Professor Hassoun said that, "just by ranking programs, we can get people to pay attention to, and address, the problems for women in philosophy. Graduate students and faculty often prefer more diverse programs and department heads, deans, and other administrators are starting to pay attention." Hassoun hopes to expand this project to include other minorities and other disciplines.